The BEST source for game cheats, codes, tips, hints, and FAQs. Due November 2001 on PC. Weve had a chance to play the beta of Sierra & Stainless Steels Empire Earth and decided a report was in order, so here goes. Empire Earth is a RTS that covers Prehistory to the Nano Age of the 22nd Century. Commanding history's best known civilizations, youll colonize or conquer surrounding territories and establish new settlements. Wood, gold, iron and other natural resources provide the raw materials for expansion, while intelligent citizens keep your economy running smoothly. Over a dozen technology tracks offer numerous opportunities for further advancement. One of the most obvious and distinguishing traits of Empire Earth is its massive scope. With gameplay stretching from the Paleolithic era to two hundred years in the future, it covers a whopping 500,000 years of human history. Empire Earth is divided into 14 epochs: Prehistoric, Stone, Copper, Bronze, Dark, Medieval, Renaissance, Imperial, Industrial, Atomic-World War I, Atomic-World War II, Atomic-Modern, Digital, and Nano. Training more than 200 types of combat units from every era in history, youll lead your armies to glorious victory with the help of Charlemagne, Cromwell, and other great heroes from yesterday, today, and tomorrow. Attack unsuspecting enemies with stealthy submarines and aircraft. Soften up an enemy position with artillery fire, carpet bombing, or off-shore shelling. Wage epic air battles with over 30 types of aircraft such as Sopwith Camels, Spitfires, F-15s, Apache Gunships, and B-2 Bombers. Fight massive naval engagements with more than 40 kinds of ships, including 16th Century ships-of-the-line, U-boats, and modern aircraft carriers. Train colossal Mechs to fight the battles of the future. Commanding units is a breeze and merely requires right-clicking on objects while using a contextual cursor. All vital data and options, like resource totals and units available for creation in a selected building, are lined along the bottom of the screen--there's no need to scan the entire screen to find what you're looking for. Determining which button does is very intuitive, thanks to colorful icons with rollover help text. Visual details are impressive--during any given epoch, you'll notice an array of clever, artistic touches that bring the buildings, units, and terrain to life. Trees gently sway in the breeze, ocean tides lap against the shoreline, and indigenous creatures like eagles and ostriches soar or trot by. Individual human characters are very expressivefor example, idle animations show overworked villagers wiping the sweat off their brow, canine scouts will stretch convincingly, and soldiers handle their weapons believably. The Empire Earth Preview Beta is a limited multiplayer version of the final game. It contains three epochs spanning from the Imperial Age through World War I. Features like the scenario editor and the other epochs are not included in the beta version. The following gameplay description is not intended to be complete or final in any way. Typically, the first buildings constructed are settlements and a granary. Resist the temptation to stay in a very limited area; otherwise youll never collect enough resources. Steady but cautious expansion is aided by both citizens and canine scouts for revealing resources. You have to gather resources so that you have some food overhead for military while making citizens all the time. Settlements should be built near gold, wood and iron and the granary is a necessity. Expect enemy attacks within 10 minutesits not difficult to hold off the initial rush if youre prepared. The first military buildings constructed should be stables and barracks. The technology tree of Empire Earth is common for all the civilizations and researching technologies is familiar: click an icon in the appropriate building, pay a small price and wait for the research to complete. Building walls is inexpensive but gaining rock can be slowthankfully, walls are pretty tough to knock down. Be wary of big attacks in the Renaissance or Imperial epochschances are good that an early end will result. My advice is to defend and advance to the WWI epoch. Maps are varied and minor changes in game settings will result in significantly different outcomes. Theres no manual with the beta, so there was a bit of a learning curve, although anyone familiar with RTS conventions will do well from the beginning. Epic scope - spans over 500,000 years, from the discovery of fire to laser technology nd beyond. 14 different Epochs - replay all of human history or just the span of time that interests you. Train more than 200 different kinds of units. Battle on land, air, and sea - in addition to armies, you can build wide varieties of ships and aircraft. Fight wars of the future with advanced robotic and anti-gravity units using secret weapons. Enlist great historical Heroes - such as William the Conqueror and Patton - to enhance your military abilities. Customize your military units by improving their strength or equipment. Have your Prophets devastate opponents with Calamities such as hurricanes, earthquakes, and deadly plagues. Engage in historic siege warfare - breach an enemy's walls with catapults, rams, and siege towers. Increase the morale of your soldiers to improve their offensive and defensive capabilities. Match wits with the cunning AI or coordinate attacks with your computer-player allies. Construct 20 types of buildings and research 150 technologies. A helpful technology tree foldout is included. Temples, Universities, and other buildings provide additional defensive measures beyond walls and towers. Create your own civilization from 100 different attributes or choose from 21 predefined civilizations. Different paths to victory, including military conquest and constructing Wonders of the World. Six different Wonders, each with its own special power. Special effects such as a day/night cycle, weather, translucent water, smoke, and special attack effects. Experience expertly balanced gameplay - each unit has its strengths and weaknesses. Gather 5 different resources that vary in importance depending on your strategy. Play four epic single-player campaigns that each follow a civilization's extraordinary rise to power. Training scenarios guide you through the basics of game play. Gorgeous random maps of various types and sizes for the ultimate replayability. Create your own original maps, scenarios, campaigns, and even in-game movies with the included editors. Four lucky GF! 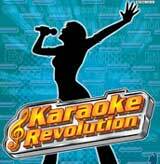 readers will win a copy of Karaoke Revolution. The contest runs until February 14, so hurry up and ENTER NOW!